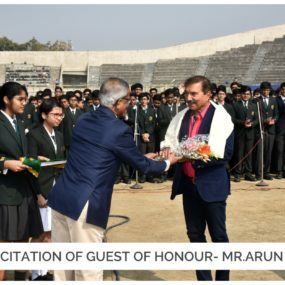 Delhi Public School Ruby Park, Kolkata hosted its 16th Annual Senior Sports Day on 13th January 2019 at Gitanjali Stadium. 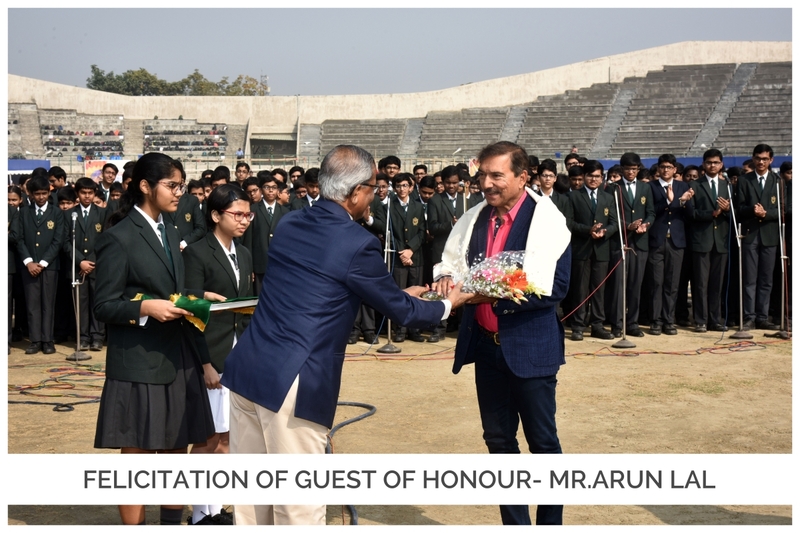 The 2-day grand meet was graced by Mr. Indranil Sen as the Chief Guest and Mr Mehtab Hossein, Mr Arun Lal, Mr Atanu Lahiri and Brigadier N.S. Mukherjee as guests of honour. 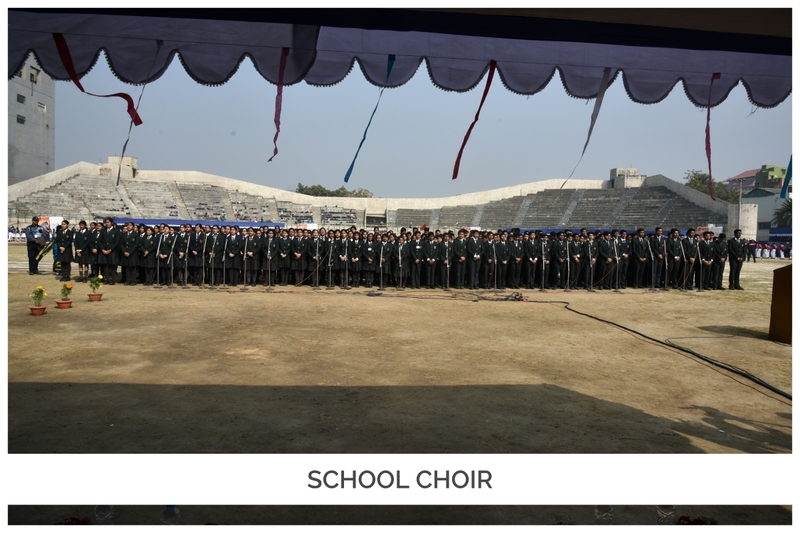 The meet began with a melodious rendition of the 2010 FIFA World Cup song, ‘Wavin’ Flag’ by the school choir. The event was flagged off with the Lighting of the Torch and formal Oath Taking. In her welcome speech, Smt. 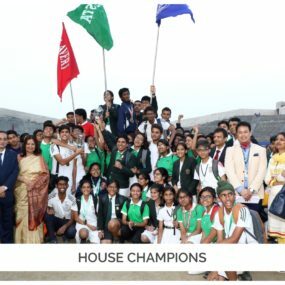 Anusree Ghose, Principal, DPS Ruby Park highlighted the necessity of sportsman’s spirit and boosted the confidence of the participants, before declaring the Meet open. 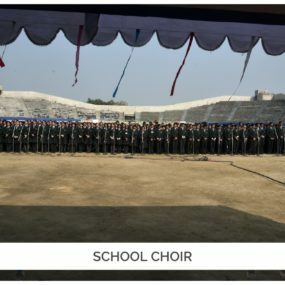 The show events included Aerobics, Karate, Yoga and Mass drill. But it was the March Past- a grand spectacle of colour, rhythm and precise synchronization of the 6 Houses, that truly stole the show. The event culminated with the Prize Distribution ceremony. 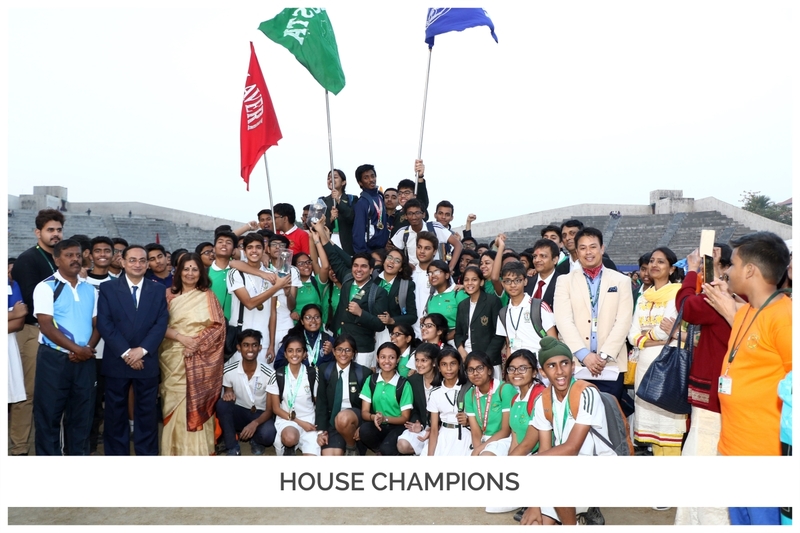 The March Past Trophy was bagged by Teesta House while the Best House Trophy was also clinched by Teesta House.